The sharing economy movement is taking a new stride in the Arab World, and many platforms have taken the initiative of implementing the methods of the collaborative economy. We dig deep and scrutinize the factors and the potential which could see this industry grow bigger in the region at a quick rate. Here we offer some successful stories. 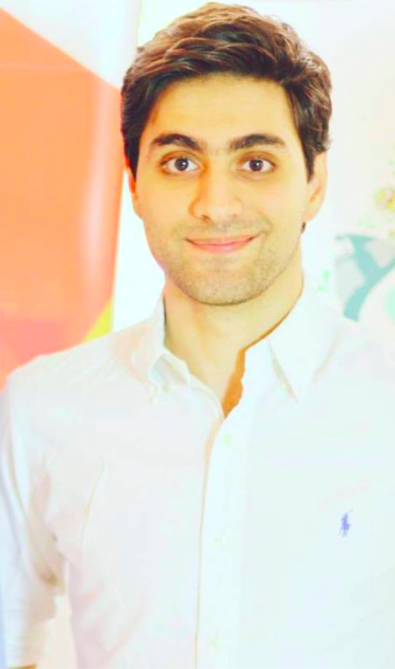 The sharing economy in the Arab World has been witnessing an ongoing shift in the trend that has envisaged owning rather than accessing. This change has turned things around, where now the value of the product in the Arab World day after another has become one of usage- not in its outright ownership anymore; as was the case with mainstream consumer models. Used products are more fashionable, thanks to the popularity of online platforms for buying and selling used goods. 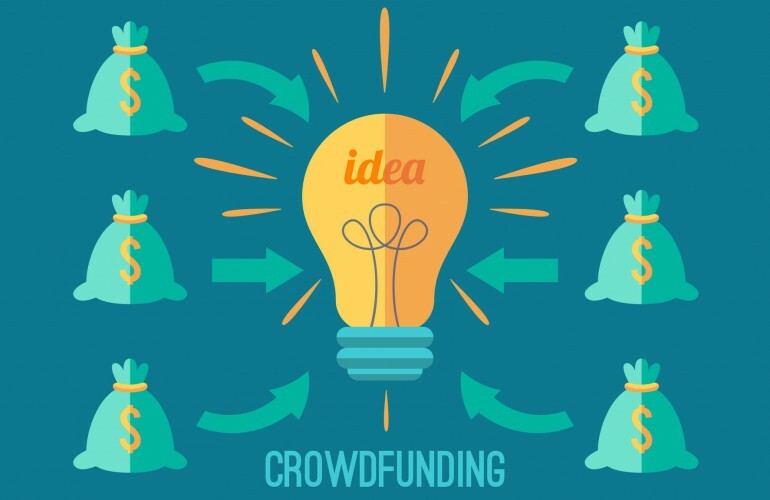 Before going to start a crowdfunding campaign on Arab based platforms, you first must take into consideration that the majority of the Arab world are very keen to the law of Islam, not to support in ideas that do not comply with it, examples of this include lending money with interest. Another thing that most of the people here prefer to get tangible things in return for their contribution. Firstly, there is an ongoing paradigm shift in what it means to own a car, a bicycle, a household appliance, a book, a film or a piece of clothing. The value of a product is beginning to be seen regarding its use, not in its outright ownership, as per traditional consumer models. Secondly, there is an increased level of acceptance of used products, thanks partly to the popularity of online platforms for buying and selling used goods. And finally, people are also adopting what could be called collaborative lifestyles, in which not only sharing products but people share their time, space and expertise as well. Building a collaborative organization is not easy. Collaboration is not a rule you can set; it is an organizational culture that is embraced by its members. But where do you start? What is important? Here are four important things you should keep in mind. 1. Do it as an innovation platform. In order to succeed in collaboration world, you cannot just think of yourself as a content provider or as someone creating an initiative, product, or service, instead become the curator, someone how create a context or platform that allows other people to self-organize and creates things that are valuable for both you and them. And maybe even for the world, don’t just load it up with static content. Instead, create the framework and tools for other to create their content and build communities. Because of the networked age, organizations can be much more than just organizations. They can be platforms for value creation, creating a platform for innovation expand the power of a larger more diverse and ultimately more capable network of contributors than you could ever find in a single organization. Building an open and intelligent network for transportation innovation could help convene communities around shared problem. 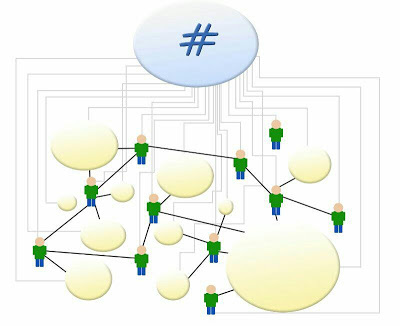 A hashtag is a pound sign (#), but it’s also used to categorize messages, keywords, and topics. A hashtag provides a means of grouping; since one can search for the hashtag and get the set of messages that it connotes. These hashtags allow you to assign a topic or a trend to your post that others – who are talking about the same problem – can quickly find and respond. You can easily have access to activities and updates from people and organizations that you are interested in. Most social networking sites are in real-time so you can make sure that everything is up-to-date. The hashtag phenomenon has been critical especially considering how these tags can be used to organize content and debates between larger groups of people. Moreover; it allows people to hold an open conversational session about a particular topic. Hashtags are distinguished for their click-to-go feature in the sense that they redirect you to a new page that displays all the tags related to that specific topic with a click. 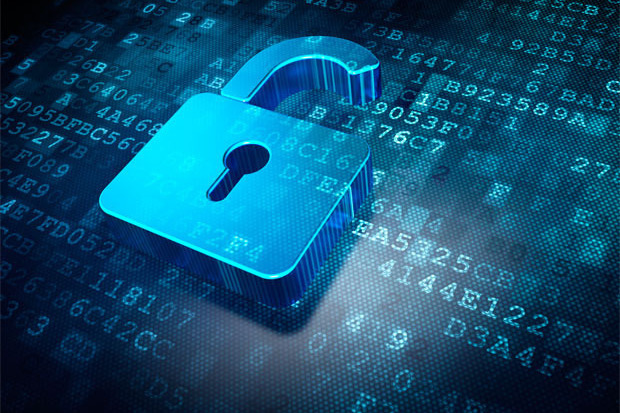 There has been an active development of ‘open innovation’ practices, conducted independently by large corporations, or using third-party platforms and mediators. There is a kind of hierarchy of increased density of participation going from open innovation under the control of corporate plays, to more active user input processes for which the concepts of Co-Creation and Co-Design have been used in the literature. Open Innovation refers to business processes where innovation is no longer dominated by internal mechanisms in the firm, but through the cooperation, participation and sourcing of both domestic and external inputs. This concept is used essentially for processes where the firm is still in control and at the center of the value chain. It is associated with related terms such as co-design, co- creation, and sourcing the crowd, i.e. crowdsourcing. Business try to open it up what they think it’s the best for them in order to gain cooperation and compete rapidly in this digital age, many companies have been thinking openness, and this is beginning to challenge conventional business wisdom and transform a number of important function including human resources, innovation, industry standards, and communication. 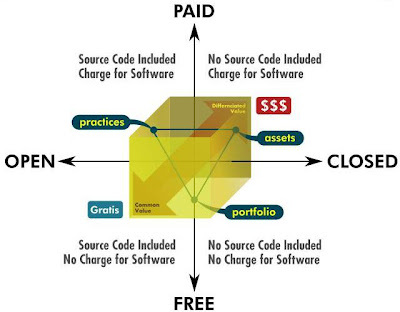 The quadrant developed by Steve Bosserman gives particular insight into the competitive dynamics that result from the drastic reduction in the cost of information reproduction and distribution, and why the maintenance of classic proprietary approaches is problematic in the long run.